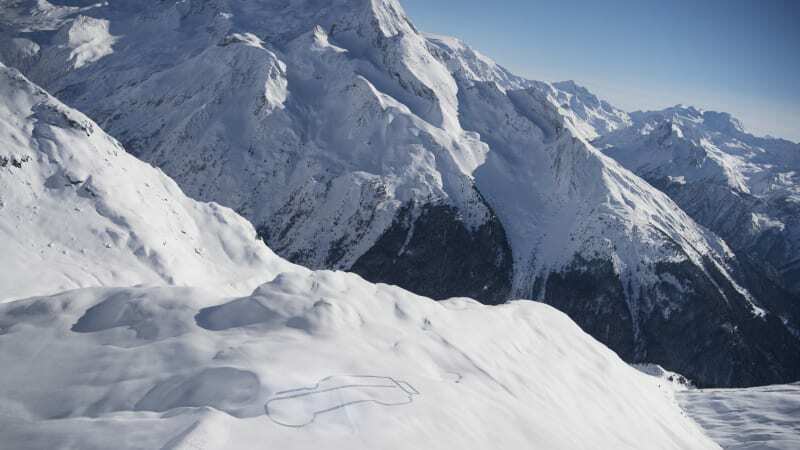 820-foot Land Rover Defender outline drawn high up a French mountain | Mazdaspeeds.org, The New Era in Mazdaspeed, CX-7 & Ecoboost Forums! Discussion in 'Car Related News Section' started by Halbot, Apr 11, 2018. It's been 70 long years since the original Land Rover was introduced at the 1948 Amsterdam Motor Show. The story goes that the boxy shape was drawn in the sand of Red Wharf Bay by Rover's engineering director Maurice Wilks. Now, that figure has been stomped on the snow of the French Alps, as an artist specializing on snow art has created a 820-foot Defender shape at La Plagne. 820-foot Land Rover Defender outline drawn high up a French mountain originally appeared on Autoblog on Wed, 11 Apr 2018 08:00:00 EDT. Please see our terms for use of feeds.